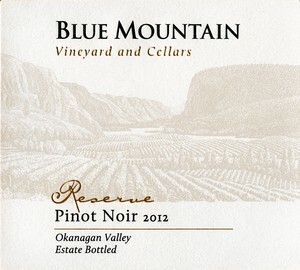 Pinot Noir is one of the wines we are most well-known for at Blue Mountain Vineyard and Cellars. We produce two tiers of Pinot Noir: the Estate Pinot Noir, which we normally release at the end of February and the Reserve Pinot Noir (formerly Stripe Label), which we normally release at the end of April. We also produce the Reserve Pinot Noir in Magnum format (1.5L). Be sure to join our mailing list to be notified of these wine releases. 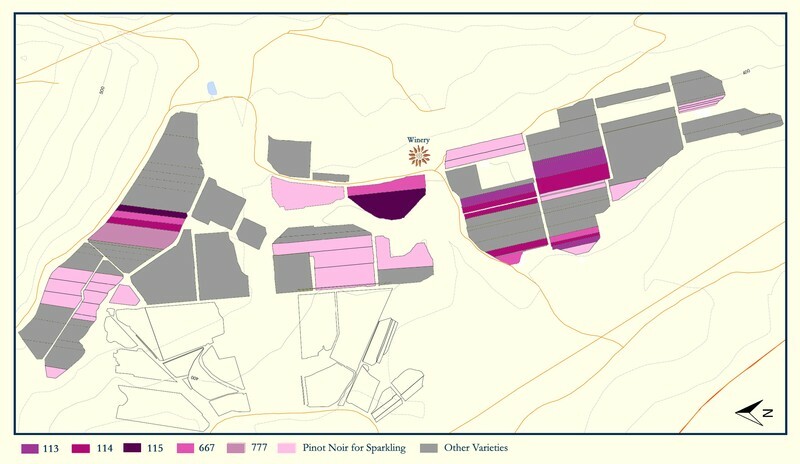 The grapes for our Pinot Noir are grown on 8 to 30 year old vines with a wide selection of clones including 113, 114, 115, 375, 667 & 777 (see the map below for the location of the clones on the farm). We de-stem and lightly crush the grapes into open-topped fermentation tanks, with a small portion of whole clusters adding to the intensity of the flavour and enhance the mouth feel. During the 16-20 days' maceration period, we practice manual cap management, with punch downs twice and up to three times daily. We then drain and press the Pinot Noir into French oak barrels, where it remains for 10 months. In 2013 100% of the vintage got fermented with wild yeast. Wild yeast fermentations starts by itself when wild yeast strains – originating in the vineyard / site (harvest equipment, transport bins, the surface winemaking equipment) - start fermenting. Wild yeast can take up to a week to begin the fermentation because their initial populations are small compared to an inoculated fermentation. Using Wild Yeast is a very risky process, but our winemaker, Matt has done a lot of experimenting and have found great success using wild yeast. This helps to express the unique terrior of our estate. Light garnet colour with red and black fruit. Vanilla and toast complement cassis and black cherry flavours, and spicy, velvety tannins fill out the Pinot Noir. Its balanced structure will allow the wine to age for 6 to 7 years. The Reserve Pinot Noir is a rich, ruby-coloured wine complex layers of red fruit, spice and integrated oak. The wine could age 7 to 8 years. 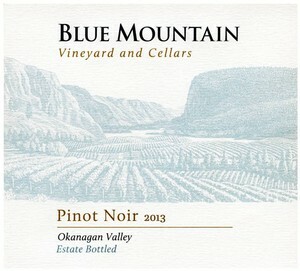 Be sure to check out this video on Pinot Noir in the Vineyard, Blue Mountain Winery produced by Chris Stenberg at Vine & Beach.